Sunny was first introduced to ASL by a coworker who signed at her church. She loved the beauty of it and decided to go to school in Atlanta Georgia and so entered the Interpreter Training Program at Dekalb College. She did her interns with a lovely woman named Dot, who was the wife of a Deaf man. She then began signing for two churches in Atlanta and found herself as a guide at an AADB (American Association of the Deaf Blind). After years of signing she began her own teaching and realized the need for more educational DVDs. The Learn Sign Language Video Series was born in 2006. 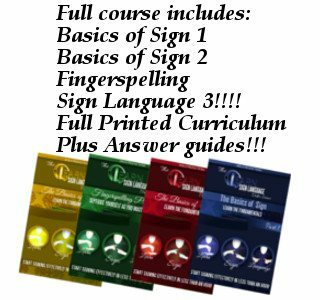 This course has evolved over time and is now used in three different countries, colleges, homeschools and churches and is perfect for learning sign language. The positive feedback we’ve received and the wonderful people we’ve met over the years through this series has made the journey a life changing experience. 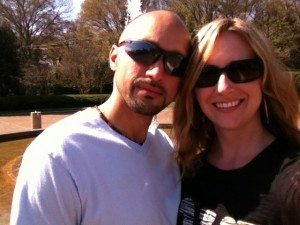 We hope you will join us in this beautiful exploration into the world of American Sign Language.Sunny and her husband, Alfredo live in Charlotte, NC with their four dogs.